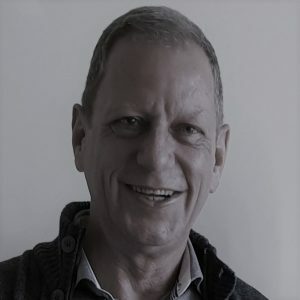 Paul Weijers is a Private Sector Development expert who started his work in development cooperation in 1987. He has been leading in developing and testing market systems in a range of projects in Asia and Africa, while integrated comprehensive and credible planning and monitoring systems aligned with the DCED Standard for Results Measurement. Recently, he was Team Leader of a £21 million TVET market systems development project of DFID in Bangladesh (Sudokkho), in which stimulating the involvement of the private sector was key to sustainability and impact at scale. Click here to download Paul’s CV. Team Leader of a GIZ project in Bangladesh that supports the garments and leathers sectors in formulating and implementing “sustainable economic growth strategies”. The project cooperates with the larger business associations and leading ministries. Mainstreaming industry-wide sustainability reporting supports the industries expanding their export markets, thus creating jobs and decent employment. This is a 50% intermittent assignment. Director Impact and Quality Assurance for WOO (World of Opportunities), a Vietnam-based internationally operating social enterprise. WOO designs, produces and markets lifestyle products consisting of home fragrances, personal care products, fashion accessories and wearables. WOO is a value-chained business model that encourages global inclusiveness, to bridge the gap between rich and poor. This is an up to 25% intermittent assignment. Long-term: Bangladesh, Ethiopia, Ghana, Nigeria, Pakistan, Philippines, Surinam, Vietnam. Short-term: Bangladesh, Bhutan, Cambodia, Ghana, India, Indonesia, Kenya, Laos, North-Macedonia, Nepal, Nigeria, Pakistan, Sri Lanka, Timor-Leste, Vietnam. DANIDA, DFID, DGIS, GIZ, ICCO, SDC, SNV, Swisscontact, World Bank. Team Leader, Project Manager, Country Director, Sector Specialist, Facilitator, Trainer, Evaluator, Consultant. Agriculture, Forestry, Construction, Garments, Tourism, Light Engineering, Automotive Repair, Plastic, Leather, Wood Products, ICT.